On your journey to health, a sufficient intake of Omega-3 fatty acids is mandatory. Omega-3 Fatty Acids offer incredible benefits for both the body and the brain. In fact, getting an adequate amount of this powerful nutrient both during pregnancy and early life is crucial for early on healthy, normal development of children, while a deficiency of omega-3 early on has been linked to poor eyesight as well as lowered intelligence and an increase in other health issues. Omega-3 fatty acids provide key nutrients that the brain needs to function optimally and are vital for keeping inflammation levels down. Those who consume adequate omega-3 fatty acids on a regular basis are less likely to develop debilitating conditions like Parkinson’s disease, Alzheimer’s disease, schizophrenia, depression, and even bipolar disorder. Although Omega-3’s are a must for psychological health, most people still fall short in consuming enough of them with their day to day diet plan. If you find yourself in this group, focus on increasing your intake by choosing omega-3 rich foods. 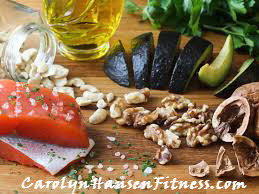 Salmon, mackerel, flaxseeds, flaxseed oil, leafy veggies and walnuts are all great choices. 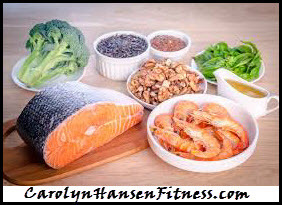 While increasing your intake of omega-3 fatty acids, reduce your intake of omega-6 fatty acids. These are harmful to psychological health and can be found in processed foods as well as vegetable oils. Omega-3 fats are a key family of polyunsaturated fats. There are three types of omega-3 fatty acids: ALA, EPA, and DHA. Eicosapentaenoic acid (EPA) and docosahexaenoic acid (DHA) are sometimes called “marine omega-3’s” because they come mainly from fish. The most common omega-3 fatty acid is Alpha-linolenic acid (ALA). It is found in vegetable oils and nuts (especially walnuts), flax seeds and flaxseed oil, leafy vegetables, and some animal fats (focus on grass fed). ALA is what the human body generally uses for energy, while conversion into EPA and DHA is limited. EPA appears to be the best at fighting depression. Heart attacks and strokes are currently the world’s leading causes of death and this is where omega-3’s help because a great deal of the strong evidence presented for the beneficial effects of omega-3 fats has to do with heart disease. It seems these fats keep the heart beating at a steady clip, avoiding a dangerous or potentially fatal erratic rhythm. Omega-3’s improve and reduce the risk of many diseases and offer a wealth of benefits with heart disease leading the pack. Years ago, scientists observed that fish-eating cultures had lowered rates of heart disease and this was later partially attributed to their omega-3. These healthy fatty acids continue to reveal numerous benefits for heart health. Although omega-3s have been found to improve numerous heart disease risk factors, omega-3 supplements have not proven to reduce the risk of heart attacks or strokes.